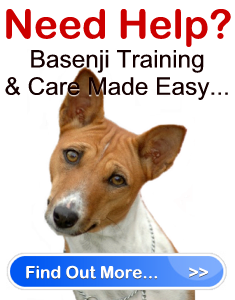 Basenji Rescue Top TIps " "
One of the best ways to get your hands on a hunting dog breed from Central Africa is to take advantage of Basenji rescue because it is a means to not only get what you want but to essentially ensure that a Basenji finds its way to home. Rescues are spread all over the world and there should be a number in your city but if you are looking for a specific dog like the Basenji you should head for organizations that specialize in taking in and caring for that specific dog. A Basenji from the rescue will be as good as new anyway by the time they are made available for adoption so you shouldn’t have to worry about sicknesses and other health conditions. Additionally, a rescue is one of the best places you can get information on caring for the dog you are interested in because they know all there is to know about the dogs they rescue. You can most easily find your way to a rescue center by going online. Not only will you have an address for the rescue center you are interested in but you’ll also have access to maps you can use to actually get to the rescue center. If you’re going to be looking for a rescue center that caters specifically to certain dog breeds, you might want to check with that dog breed’s official organization or association. While these organizations or associations promote breeders offering the dog breed they are particularly fond of, they also support rescue centers because every dog needs a loving home. Aside from going online, you should also be able to find a Basenji rescue with the help of a directory service. The best way you can help out in a rescue center is if you can take home one of their beloved pooches to love and care for. If you can’t adopt a dog at the moment, you can share some of your time and volunteer at the rescue center to help keep things running. If you have the resources, you can also help out in the form of monetary donations or donations in kind. It would also considerably help a Basenji rescue out if you can help spread the word about their advocacy so more and more people will learn about their cause and in turn help out.